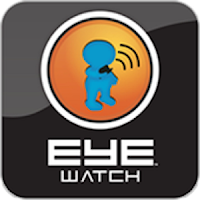 Eyewatch, an emergency alert application that has been designed for security of the citizens in India. Developed by Indian Eye Security Pvt. Ltd. With the inputs from security experts from USA, UK, France, Israel, and India. This app has already crosses half a million downloads. At the click of a button, immediately the system informs guardians with the exact Audio/Video displaying the details of the emergency & location with the help of GPS and network triangulation on the “Guardians Dashboard”. Alerts can be viewed by guardians via smart phone or computer. This is the only application in the world today, which when activated records a 60 second pre-alert audio which helps the guardians to hear exactly what is causing the perceived threat. A 20 second video is sent which provides environmental details. It has different alert types so as to ensure the right kind of help can be provided at the right time. The broad categories are A) personal alert, where only known people (ERC’s) are contacted so as to avoid embarrassment or exposure in personal situations. B) travel alert, where you may additionally contact Car breakdown services, etc. C) Security alert where the police are also intimated about the emergency so that they may respond and provide immediate assistance and lastly D) medical alert where your doctor or primary healthcare provider may be contacted. The app requires the user to add details of all the Emergency Response Contacts along with a family doctor’s information, medical information, employer’s details and insurance details for effective use. The alert can also be activated by pushing the power button 4 times or with the help of an accelerometer which measures the motion of the phone. (These need to be enabled in the settings menu first) The app also provides a 6 second countdown to deactivate the alert therefore reducing false alarms when the accelerometer trigger is involved. After Extensive testing by the Army Signals Corps, The app was launched by in 2012 by the then army Chief General V. K. Singh for the Indian Army Veterans and their families. Having won the ‘Best Safety App’ in 2015 Eyewatch currently has a preinstallation Agreement with 2 Indian Mobile Manufacturers. This app is already available on Google PlayStore, iTunes, Blackberry, Microsoft and Symbian. Various Police Commissionerates in India, namely Gurgaon (Haryana), Kolkata (West Bengal), Amravati (Maharashtra), Nashik (Maharashtra), Nagpur (Maharashtra), Bagalkot (Maharashtra), Belgaum (Karnataka), State of Goa, State of Uttar Pradesh ‘Shakti 1090’ have successfully launched the Eyewatch police application. 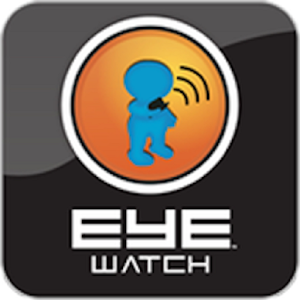 Eyewatch police app has been designed in such a way that when an alert is activated, it automatically provides the police with critical details and location about the person who has activated the alert.